Welcome to Pumpkin Fine Cars blog! In todays version of our "car of the day" we are featuring a very stylish 2006 Dodge Charger. Driven only 30,730 certified miles, this car is still under factory warranty. The Charger comes loaded with CD player, power seats with lumbar support, power locks, power windows, auto-dimming rear view mirrors, power folding heated mirrors, cruise control, tilt and telescopic steering wheel, rear a/c, privacy glass, moonroof and much more! The car comfortably fits five people. Its V6 3.5 liter engine provides plenty of power. Come visit us in our unique indoor showroom for a free test drive. Please check out our website http://www.pumpkincars.com/ to see the rest of our great vehicles. Everyone here at Pumpkin Fine Cars & Exotics would like to, once again, wish everyone a Safe and Prosperous New Year 2010! We would also like to extend a very big "thank you" to all of our loyal family and friends that have, not only bought a car from us this ye ar, but have supported us faithfully throughout the years. 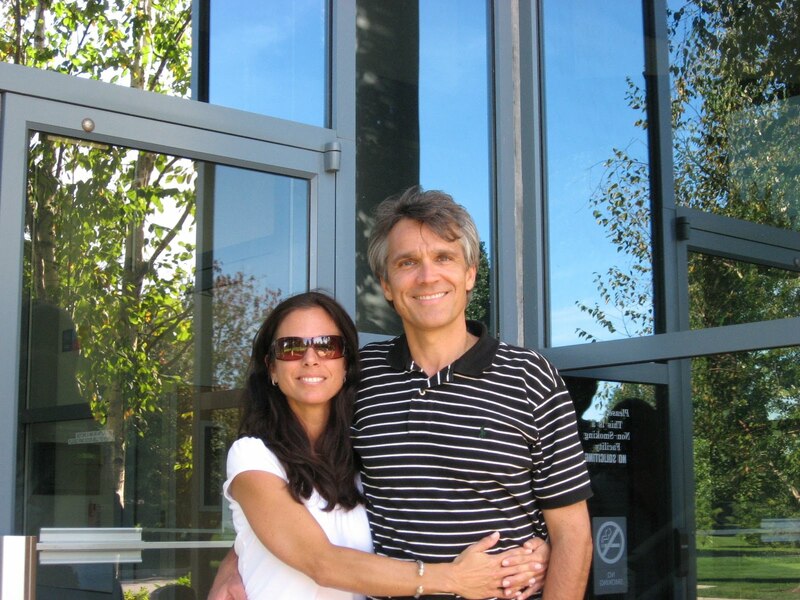 Over the past years, owners Franck and Gina Freon, have donated their time and money to many charities and organizations throughout the greater Atlantic and Cape May counties. None of this would be possible without the continued support and referrals of our Pumpkin family, friends and newly acquired customers. Keep on bringing in the love and we will continue to give it back to our communities! We also want to remind everyone that this can be a very dangerous time to be on the roads with the unpredictable winter weather, so buckle up and drive safe! We hope you enjoyed the previous extended weekend and for those that celebrate the holidays, we sincerely hope everyone received lots of love and had themselves a wonderful holiday season. With the extended weekend that is approaching, Pumpkin Fine Cars & Exotics will be open, but closing a little earlier than usual on New Years Eve, 10:00am - 4:00pm. We will also be closed for business on New Years day. The hours will return to our normal scheduled business hours on Saturday, January 2, 2010 from 10am-3:30pm and Monday-Friday, 10:00am - 6:30pm. Feel free to stop by our unique indoor showroom to check out our current inventory or log onto our website, http://www.pumpkincars.com/ for more information on just about anything we have to offer. Here is another inexpensive, but solid vehicle brought to you by Pumpkin Fine Cars & Exotics . A pre-owned 2001 Nissan Altima GXE, silver exterior on gray cloth interior, this car shifts and runs great! This pre-owned Nissan would be perfect for getting back and forth to work, school or to the local grocery store. The Nissan Altima is also economically friendly, a real gas saver! It comes equipped with a power driver's seat, power windows, power locks, an AM/FM Stereo with a CD Player, moonroof and much more! It can be yours for only $5995. To schedule a no-obligation test drive or for more information, contact us at (609)646-7676 or stop by our exclusive indoor showroom located in Egg Harbor Twp, NJ just minutes outside of Atlantic City. For additional photos of this car and others like it, log onto our website at www.pumpkincars.com. A full list of our current inventory can be found by clicking here. 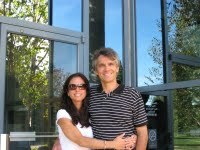 Happy Holidays To All and a Prosperous 2010! Santa came early this year at Pumpkin Fine Cars & Exotics and he came in style. Santa was sporting his usual red velvet attire with Mrs. Claus and their Captain Elf in tow. Instead of the sleigh, with weather being so chilly out, he brought his 1961 Chevrolet Wagon, the beach cruiser. With this visit from Santa, we were reminded to wish all of our Pumpkin friends and family a Very Merry Christmas, Happy Hanukkah, Merry Kwanzaa and Feliz Navidad! Of course we are wishing everyone a very Prosperous New Year 2010 as well! Our holiday showroom hours will vary slightly with our shop being closed on Christmas day and New Years day. We will be open on Christmas Eve for a half day, 10:00am to 2:00pm and on New Years Eve we will be extending the early closing by two hours, 10:00am to 4:00pm. This will ensure that our Pumpkin staff and customers will be home safely with their famililes before any festivities begin. If you are planning on visiting us during the Holiday break, appointments for test drives are always welcome. Tommorrow's forcast is calling for 10-20 inches of snow. If this occurs over night and we awake to a white day, our showroom will close and will re-open on Monday, Decemb er 21 at our regular scheduled opening of 10:00am. If you are planning on coming to visit us, call us first at(609)646-7676. For more information on Pumpkin Fine Cars & Exotics or if you would like to check out our recent inventory of pristine, pre-owned vehicles, log onto www.pumpkincars.com. As always, drive safe, be Merry and have a wonderful Holiday Season and a Happy New Year! Pumpkin Fine Cars is offering this 2000 Jeep Cherokee Sport for sale. Driven 110,000 the Cherokee is listed for only $4995. The northeast region of the United Sates is calling for heavy snow fall for the winter of 2010, dont be stuck on the side of the road. The jeep's 4 wheel drive is perfect for harsh weather conditions such as these. It comes well equipped with an automatic transmission, power windows, power locks, power seats, AM/FM radio, and much more! Feel free to check out the rest of our vehicles on our website http://www.pumpkincars.com/. In today's version of our car of the day, Pumpkin Fine Cars would like to present a 2007 BMW 328i. Driven 30,500 certfied miles since new. Titanium Silver Metallic on soft black leather makes the perfect color combination. This car is still under factory warranty until February 2011, and also has a special CPO warranty by BMW until February 2013. This 328i has plenty of power with its V6 2.8 liter engine, and includes a lot of options including power and heated seats with memory positioning, power windows, power locks, moonroof, CD changer, master controls on the steering wheel, crusie control and much more! The car is listed a $24,995. If you have any questions feel free to contact us through our email [email protected], or by phone (609)646-7676. Please check out the rest of our high quality vehicles on our website http://www.pumpkincars.com/. 2000 BMW 323i 32k Miles! 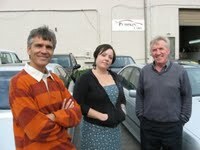 Welcome to Pumpkin Fine Cars blog. In today's version of our "Car of the Day" we feature a 2000 BMW 323i. Silver on soft light gray leather. Only driven 32,444 certified miles since new. Brand new this car was listed at $33,000. Now nine years later it was barley driven and it cost $20,000 less. Its very rare to see a car from this year with mileage this low. This car is immaculate, it comes fully loaded with power and heated seats, power windows, power locks, moonroof, CD player and much more! Come visit today in our unique indoor showroom for a free test drive today. Please check out the rest of our high quality vehicles on our website, http://www.pumpkincars.com/. Today's Car of the Day is a pristine, all-wheel-drive, 2005 Honda Pilot EXL. This black beauty comes fully loaded with all extras. Its has an eight-passenger capacit y with the addition of its third row. Tan leather interior, power heated seats and Navigation System will make this pre-owned SUV not only great for the winter but for road trips and car pooling the kids. It has an AM/FM Stereo with a 6-disc in-dash CD Changer, privacy glass windows and alloy wheels. It has a 6-cylinder engine so it won't kill the pocket book or the environment. The original owner didn't spare any expense and added on $4000 worth of dealer installed luxury options which include the chrome bumper trim and color match fender flares, front and rear mud flaps, running boards and the classy wood trim on the interior dash and steering wheel. You won't find another pre-owned Pilot like it for miles and miles. This barely broken in, pre-owned Honda is selling for $18,995. As with all of our vehicles, this Pilot has been fully serviced, Pumpkin Certified and professionally detailed by our in-house detailer. It's ready for a new home! If you liked to take it for a test drive, stop by our indoor showroom located in Egg Harbor Twp, NJ just minutes outside of Atlantic City. For more information or if you would like to see some of our other pre-owned luxury vehicles, log onto http://www.pumpkincars.com/. 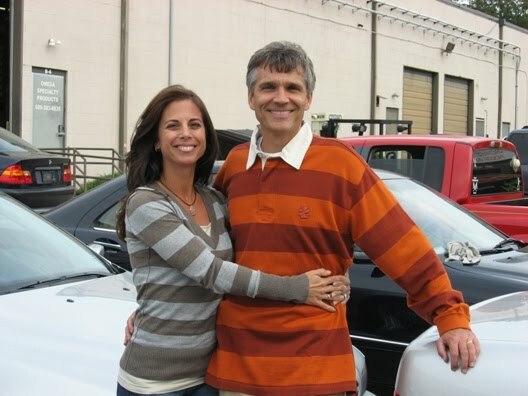 You can find everything you need on our site, from financing and warranties to a detailed account of the history of Pumpkin Fine Cars & Exotics, you'll learn why Pumpkin Fine Cars is fast on it's way to becoming the best pre-owned dealer in South Jersey. Check out the testimonials from our loyal Pumpkin family and friends! Happy Holidays from Pumpkin Cars! We want to take this time to thank all our valued customers from 2009 and of course from the previous ten years! We had a lot of new customers this year and just wanted to let everyone know their business was greatly appreciated, especially during these challenging times. You won't find a better way to be efficient with your spending than shopping at Pumpkin! For everyone with the holiday spirit and many of our customers already know, buying a car for someone can make the perfect present! It shows someone how much you really care. At Pumpkin we have vehicles to fit eve ryone's budget. Feel free to check out our inventory here at our website to see all of our high quality vehicles, low mileage, one owner pre-owned cars. We are open for business all regular hours throughout the holidays, Monday thru Friday 10am-630pm, and Saturdays 10am-4pm. Please come in today for a free test drive and personal service you won't receive anywhere else! If you are not currently in the market for a car, we are also running another speci al on gift certificates for a full detailing by Pumpkin Fine Cars. Please inquire about the different packages available. This would make a great gift if you are not sure what to buy that special someone on your list; a soccer Mom who doesn't have time to keep up with the car, of course Dad always wants to keep his special toy clean, a teenage son or daughter who aren't quite sure yet how to keep their vehicle clean or the mature relative who has everything they need and who deserves a helping hand! A detailing is a simple, yet thoughtful and useful gift for anyone. Call us or email us today. Welcome to another version of Pumpkin Fine Cars and Exotics "car of the day." Today we are featuring a fantastic 2003 Lexus GX470. Driven 98,886 certified miles since new. Titanium Metallic Silver on gray leather, 8 cylinder 4.7 cylinder engine comes fully loaded with navigation, power and heated seats with memory positioning and lumbar support, 17 inch wheels, Mark Levingston stereo with a 6 disc CD changer, DVD entertainment system with dual wireless headsets, 3rd row seating, auto dim rear view mirrors, roof rack, and much more! This pre-owned Lexus has been professionally detailed and fully serviced making it Pumpkin Certified. Retailed at $18,995, come visit us at our unique indoor showroom for a free test drive today. 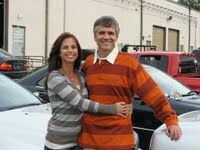 Please check out the rest of our high quality inventory on our website, www.pumpkincars.com. Franck's Recovery is going well! All of us here at Pumpkin Fine Cars & Exotics have been receiving an out-pouring o f generous calls and emails inquiring about Franck's recovery. We want to let everyone know that he is recovering well and truly appreciates all the well wishes that have been coming in from all over the South Jersey area. He will back in the office soon and wants to thank everyone that has shown their support and of course, all of those who have come in and are buying cars...LOL! If you would like to send Franck a get well wish you can contact him via email at [email protected] or if you are a Facebook member, you can send him a message on his facebook page by clicking here or searching Franck Freon. 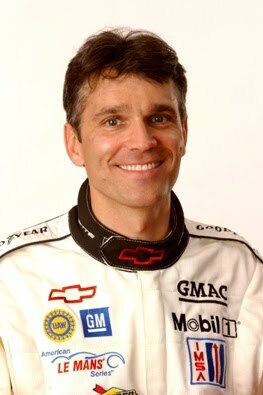 For more information on Franck Freon & his racing career, log onto http://www.pumpkincars.com/ and click on the "Meet Franck Freon" section. 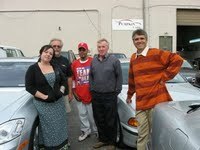 To check out our current inventory of pristine, pre-owned vehicles, click here or visit http://www.pumpkincars.com/. The showroom has remained opened and in full operation during it's normal business hours of Mon-Fri, 10am-6:30pm and Saturday 10am - 4pm. Thanks again to all our family and friends who have continued to support Franck and Pumpkin Cars through-out the years and we want to wish all of you a very Happy Holiday Season and a Prosperous New Year! Todays version of Pumpkin's "car of the day" we feature a 2005 Chevy Equinox LT. Driven 55,350 cerified miles the car comes loaded with a 6 cylinder, 3.4 liter engine equipped All-Wheel Drive, CD player, alloy wheels, privacy glass, power and leather seats, power windows, power locks, auto dim rear view mirror, sunroof, and much more. The Chevy has been fully serviced along with a professional detailing, making it Pumpkin Certified. Feel free to stop by our showroom for a test drive today! Please check out the rest of our great inventory on our website http://www.pumpkincars.com/. Welcome to Pumpkin Fine Cars and Exotics "car of the day." In todays version we are featuring a 2007 Mercedes Benz E350 4matic. Flint Gray on soft tan leather interior. The vehicle has been driven 34,500 certified miles since new. 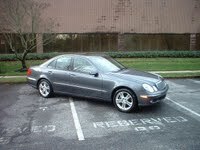 It is under Mercedes Benz factory warranty until June 2011 or 50,000 miles, which ever comes first. This Benz comes fully loaded with navigation, 6 disc CD changer, ipod and satelite radio ready, moonroof, power locks, power windows, and power and heated seats with memory, power trunk lid, and all wheel drive and much more! Like every other vehicle at Pumpkin this Mercedes Benz has been fully serviced and professionally detailed, making it Pumpkin Certified! Please check out the rest of our marvelous inventory at http://www.pumpkincars.com/. Feel free to stop by our unique indoor showroom for a free test drive today! Here is a stunning 1999 Mercedes Benz E320. Who ever owned this Mercedes before did a fabulous job maintaining the vehicle. Only driven 73,950 certified original miles. The car is second to none. Blue on tan leather, the car looks new. Its a 6 cylinder, 3.2 liter engine automatic transmission, and comes loaded with power and heated seats (with memory positioning), power locks, power windows, power mirrors , moonroof, auto-dim rear view mirror, 6 disc CD changer, and cruise control. Here at Pumpkin Cars we make sure every vehicle has been fully serviced along with a professional detail, making it Pumpkin Certified. Feel free to check out the rest of our beautiful inventory on our website http://www.pumpkincars.com/.